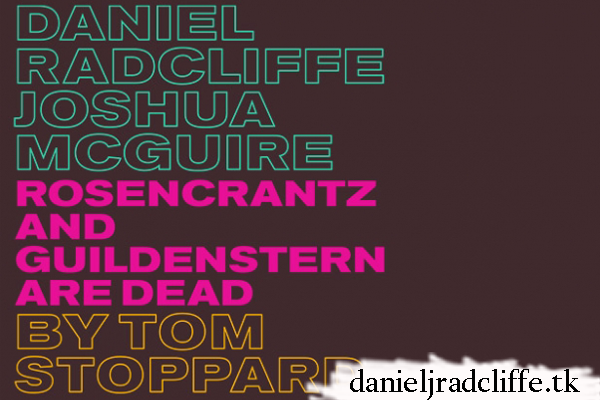 Yes The West End theatre news is here: Daniel will star in Rosencrantz and Guildenstern are Dead by Tom Stoppard at London's The Old Vic Theatre. The 1966 play focuses in on two characters from Shakespeare's Hamlet. This will be its 50th anniversary production. It's directed by David Leveaux and it will also star Joshua McGuire who also worked with Daniel on one episode of A Young Doctor's Notebook. The production starts 25th February 2017 and will run until 29th April 2017. The opening night will be on 7th March 2017. For info and tickets: oldvictheatre.com. General booking starts Wednesday 2nd November 2016, 12 noon. Half a century after its premiere on The Old Vic stage, Rosencrantz and Guildenstern are Dead, the play that made a young Tom Stoppard's name overnight, returns to The Old Vic in its 50th anniversary celebratory production. 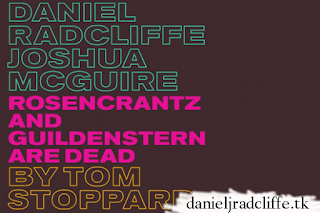 Against the backdrop of Shakespeare's Hamlet, this mind-bending situation comedy sees two hapless minor characters, Rosencrantz (Daniel Radcliffe) and Guildenstern (Joshua McGuire), take centre stage. Increasingly out of their depth, the young double act stumble their way in and out of the action of this iconic drama. In a literary hall of mirrors, Stoppard's brilliantly funny, existential labyrinth sees us witness the ultimate identity crisis.